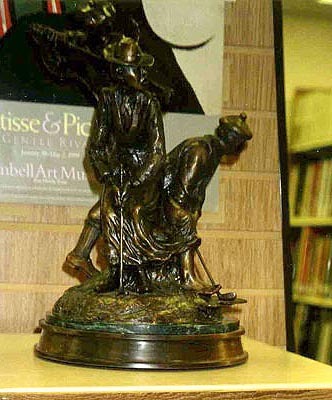 22" x 17" x 12.5"
"It's Only a Game" Maquette shown at a Sculptureworks display at the Roanoke, TX, Public Library. 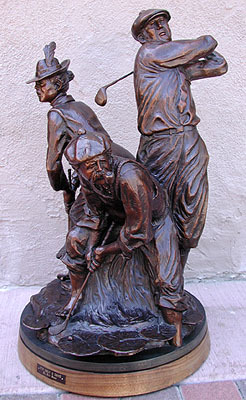 Some golfers (two men and a woman) from the 1900s fight over the ball. Click here to return to Bill Bond's main page.